The Cutera Solera laser machine proves that big performance can come in a small package. Available in two configurations as the Cutera Solera Opus or Cutera Solera Titan, this model line is compact enough to transport virtually anywhere you need it to go and versatile enough to handle several different cosmetic treatments. The Cutera Solera can be used with the LimeLight, ProWave 770 and AcuTip 500 attachments. With a spot size of 10 mm and a repetition rate of up to 2 Hz, the Cutera CoolGlide laser system is among the fastest you can buy. 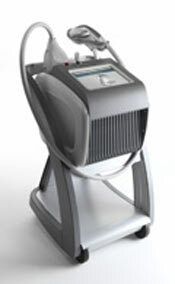 And you can buy a pre-owned Cutera CoolGlide laser machine for less at SunrayLaser.com. We carry a complete inventory of quality Cutera laser equipment, and we back it all up with a full satisfaction guarantee. Whether you are interested in a used Cutera Solera Opus system or a used Cutera Solera Titan system, we have one available at the right price. Plus, you can buy with complete confidence from SunrayLaser.com because we offer a full satisfaction guarantee with every machine we sell. Some companies make you answer all kinds of questions in order to get a Cutera Solera laser machine price quote, but at SunrayLaser.com we make it simple. Just fill out the contact form below and we’ll be happy to provide pricing information on this model or any other in our extensive cosmetic laser machine inventory.